Universal Astronomics is a small business that is fast becoming known in the international astronomy community for having developed or refined a number of original solutions to nagging problems. Innovations by Universal Astronomics include the UniStar and the UniStar Light alt-azimuth mounts for telescopes, and their UniMount articulated parallelogram mount to support mid size and large binoculars. The owner of Company Seven was keen to find a product maker that was interested in making durable and practical mounts that would also be easy to use; we found that at Universal Astronomics company and we have contributed advice and feedback routinely to help refine these products. In our experience, a mount cannot be any simpler to put into use, or more reliable with less to go wrong than these. Right: UniStar Light Deluxe Mount shown with optional Astro-Physics 92mmf7 Apochromat telescope, and Gitzo Carbon Fiber Tripod (80,662 Bytes). The UA mounts are made of first rate aluminum and steel raw materials, the metal components fully machined of highly durable and lightweight aluminum alloys precisely cut and welded for consistent performance and reliability. To insure good durability, resistance to corrosion, and maintaining of precision tolerances, the components are anodized black or natural aluminum. Their slender profile makes them practical and easier to pack into luggage for travel than most other platforms with similar payload-bearing capacity. "a mount cannot be any simpler to put into use, or more reliable with less to go wrong"
The UniStar series of Alt-Az heads and the UniMounts are pound per pound generally more streamlined and compact, and smoother when moving under load than many products already in the marketplace. These heads permit rotation of a complete 360 degrees in azimuth (left to right), and the pointing of attached payloads is possible all the way from down to the foot of the tripod up to zenith (directly overhead) with no restriction. These systems are modular, these heads have been designed to permit the user to attach them with no tools needed onto a variety of suitable tripod or fixed platforms. The buyer of a UA head may in fact already own a compatible tripod thereby saving some initial expense. Their systems approach means it will be a simple matter for the user to interchange components as the needs of the user changes by changing mounting saddles for example. Many of the UniStar model heads accept optional encoders so that they may be connected to any number of third-party digital position displays or directly to a personal computer. quickly interchange the telescope from a Universal Astronomics mount to German Equatorial Mounts with dovetail hardware. The UA dovetail saddles are designed to accommodate not only those dovetail plates made by UA, but they can also accept dovetail plates of various dimensions. 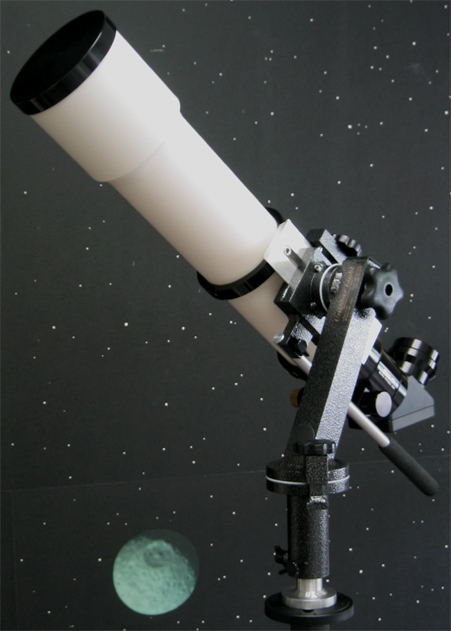 So one may quickly install a telescope with attachment hardware from an Losmandy or Orion mount, or that of several other manufacturers onto to the UA mount. Beginning in 2011, partly in an effort to standardize production and cut down on the numerous custom parts that each set consists of, UA devised a Saddle Plate design that accommodates either of two popular plate diameters: the 'V' series pioneered by Vixen of Japan, and the 'D' series plates pioneered by Losmandy Hollywood General Machining of the USA. Furthermore, those saddles sold by Company Seven feature a non-marring clamp arrangement, so that the dovetail plate is not only more securely held in place but it is not marred by unsightly nicks and scrapes. 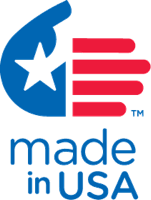 This original and innovative product line is completely designed and manufactured in the USA! We look forward to even more innovations as this line continues to develop. Please feel free to contact Company Seven to discuss your requirements.